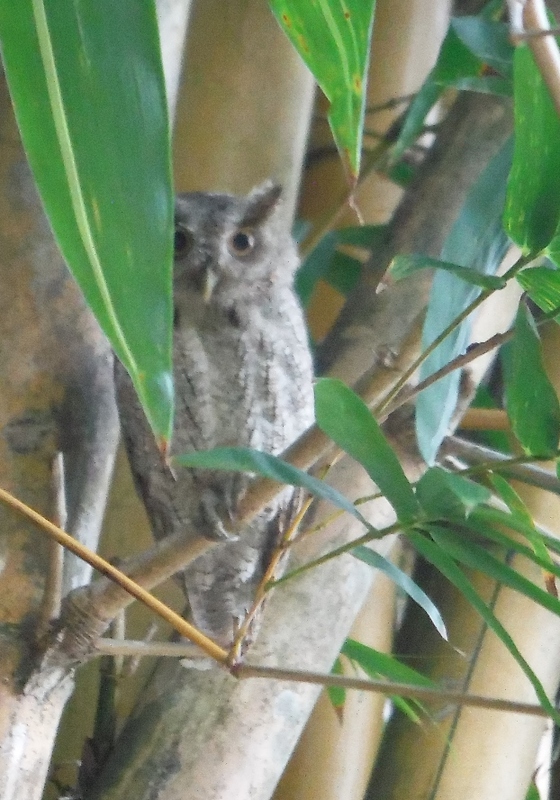 Our owls are back, hanging out in the bamboo near the house. Last year there were three but maybe the juvenile grew up. 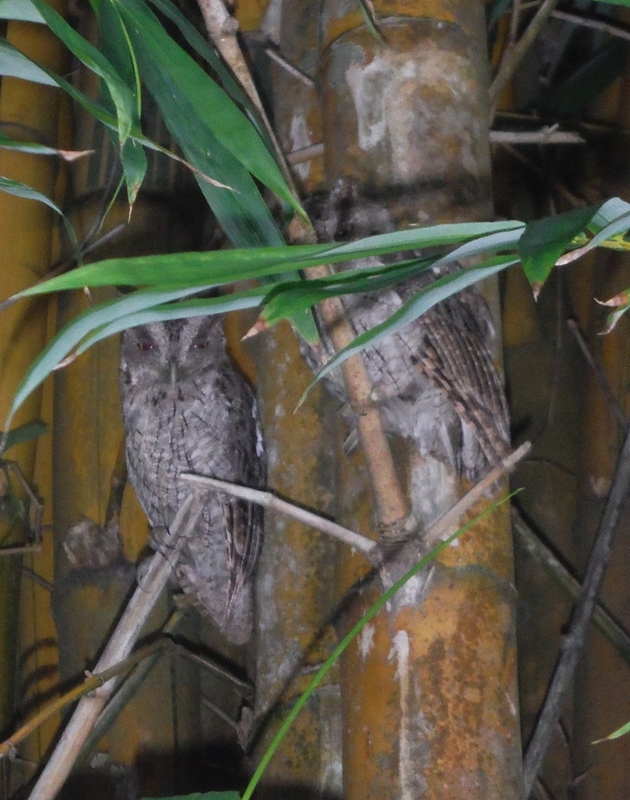 We think these are Pacific Screech owls. 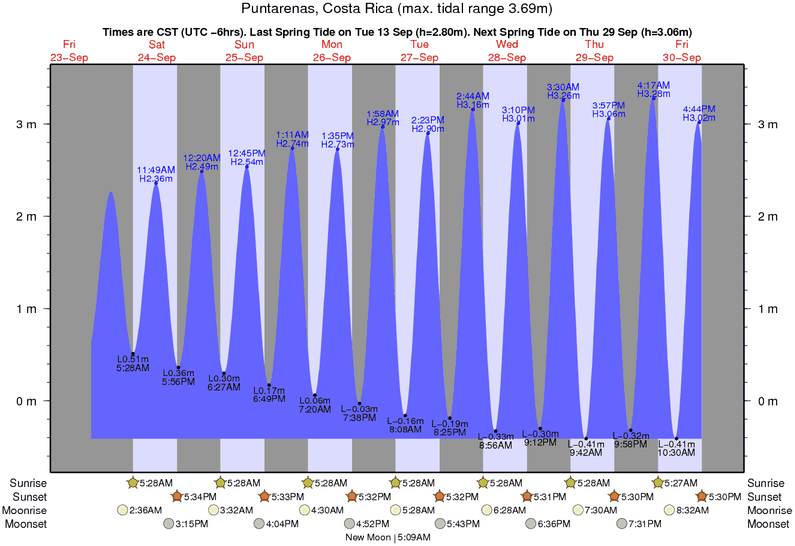 Any confirmation? 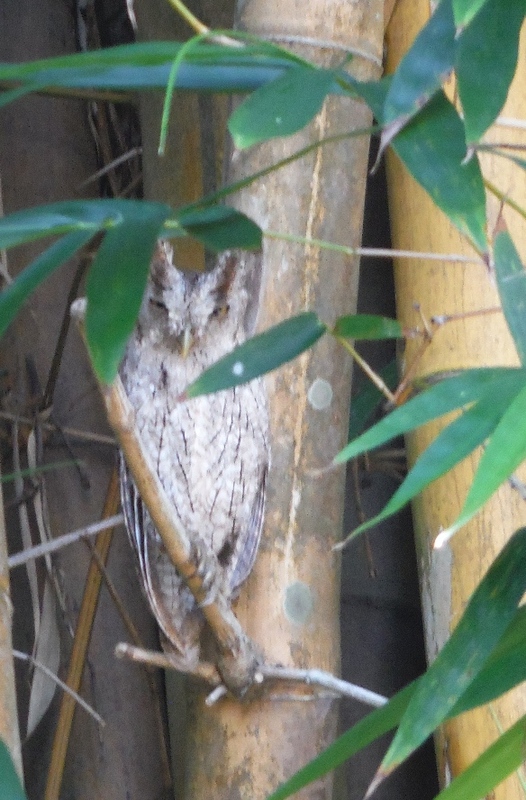 Definitely a screech owl, have them here in Stoughton, Wisconsin, but there are many varieties, all similar in appearance. Like your blog, by the way, and Samara, will return for sure.